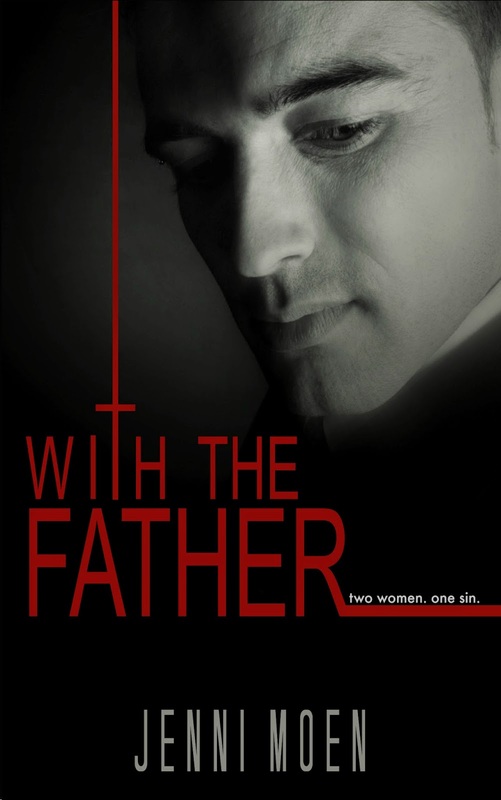 We are very excited to share the cover for With the Father by Jenni Moen! Check out the excerpt below and tell us what you think! I wasn’t going to take any chances this time around. If I’d learned one thing during my life, it’s that death is the only certainty. It’s a matter of when, not if. For every action, there is a reaction. For every choice, a consequence. “Do you believe that?” he asked, his voice solemn. “In soul mates.” He cocked his head to the side and looked genuinely interested in my answer. “Certainly, some are better suited for each other than others,” he said, nodding to the dogs sitting side-by-side at our feet. “But I don’t believe in ‘the one.’” He leaned against the trunk of my car and eyed me as if he thought I was made of glass and his words would shatter me. He was right to wonder. Jonathan had been my soul mate. We’d been very young when we’d met – just nineteen. Yet, I’d known immediately that he was it for me, that he was the one. In fact, I’d called my mother the next day and told her that I’d met the guy I was going to marry. There had never been anyone else and he’d felt the same way. If that wasn’t the definition of soul mates, I didn’t know what was. “Walt Disney?” I asked, pointing at Princess Aurora. I scuffed the toe of my shoe in the dirt while I considered his words, noticing that he’d purposefully framed his argument without mentioning God. Father Paul was walking a fine line with me and he knew it. He was being very careful not to say something that he knew would push me away; yet, he’d still managed to get his message across. He flipped his ball cap around so that it sat backwards on his head. The act had the dual effect of revealing his face – and the utter sincerity etched across it – and returning the Greek mythology-spewing priest beside me to a mere mortal man again. I crumbled just a bit. Jenni Moen lives in Oklahoma with her husband and three crazy, exuberant kids that have the potential to burn the house down at any moment. When she’s not chauffeuring kids around town, performing her mom duties as a short order cook and maid, or vacuuming for her fastidious husband, she hammers away at her keyboard at her big girl job as a patent attorney. While vodka and exercise have provided some relief from the daily grind, it is reading … and now writing … that are her true escapes.